Nerdy friends are the best. That’s why I have lots of them. Here are some random gift ideas from a variety of fandoms for your nerdy friends and family. 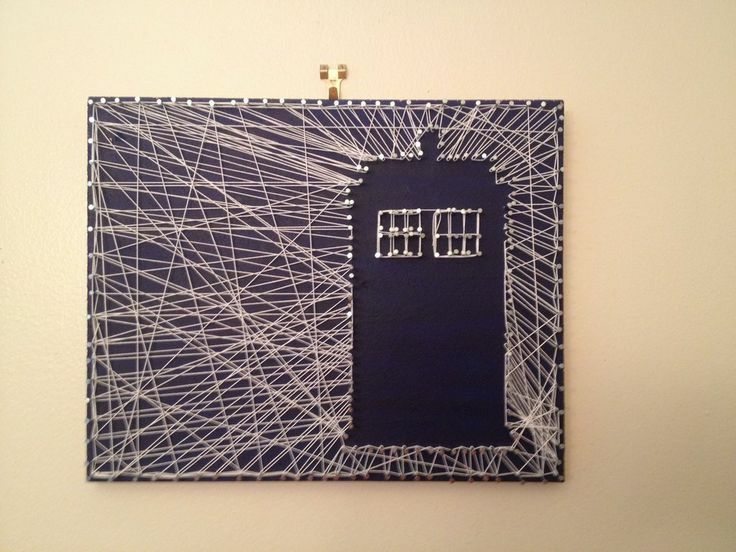 Tardis string art. Found here. This looks simple enough to avoiding looking too crafted and it still looks really unique. Who needs coasters? All of us. 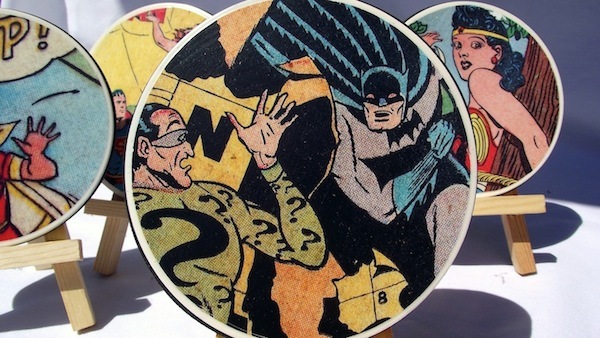 Who actually owns coasters? Umm…. 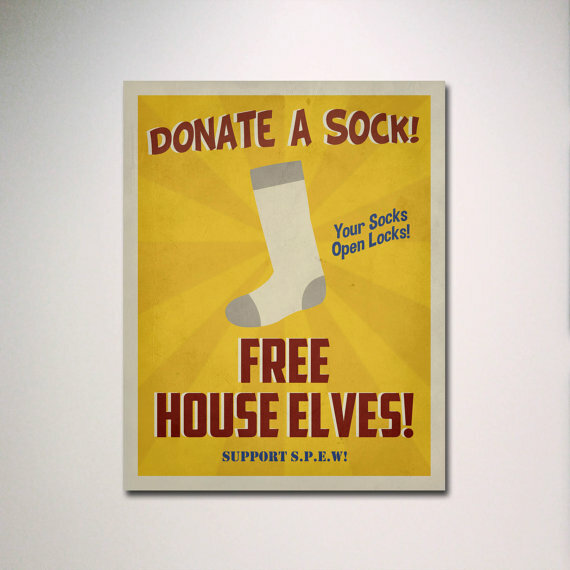 Give your nerd friend the gift of practicality wrapped up in nerdy disguise. Star Wars Saber Every Drop Mug, Modcloth, $14.99. It’s like a sneaky, grown up way to drink out of a Star Wars mug. Except not that sneaky and much more holiday and fair isle-esque. Microsoft just told me that wasn’t a word. 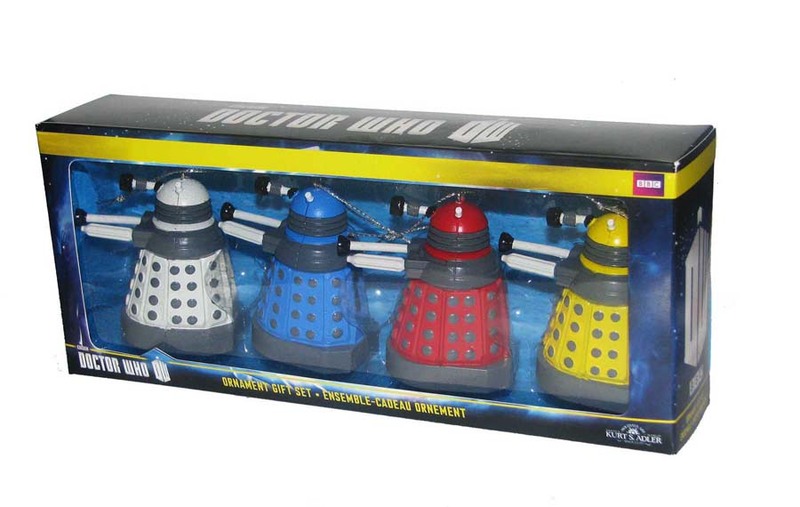 Dalek Christmas ornament set, $17.98. Win #1: Buying from BBC. Win #2: decorating your friend’s tree with their nerd-dom. 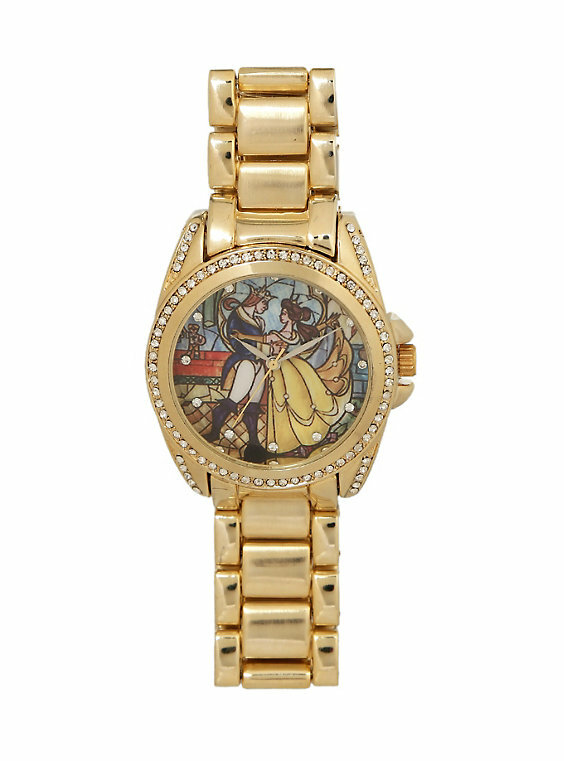 Disney Beauty and the Beast stained glass watch, $19.60, Judge me all you want for shopping at Hot Topic. I certainly judge myself. 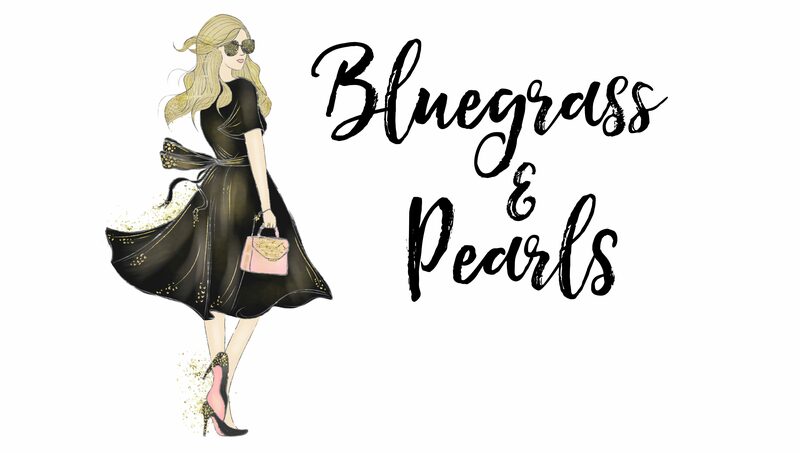 I also judge the world for judging people who dress like Disney princess every day. The fact is, you can get some awesome fan gear there and you can find them at every mall. Plus, you’ll get your daily quota of being judged by teenagers and who doesn’t want that? Harry Potter House Shot Glasses, ETSY, $24.00+ Adulting harry potter gift? Yes, please! A little more pricey gift, but the perfect one for a friend or family member who is both nerdy and living on their own. 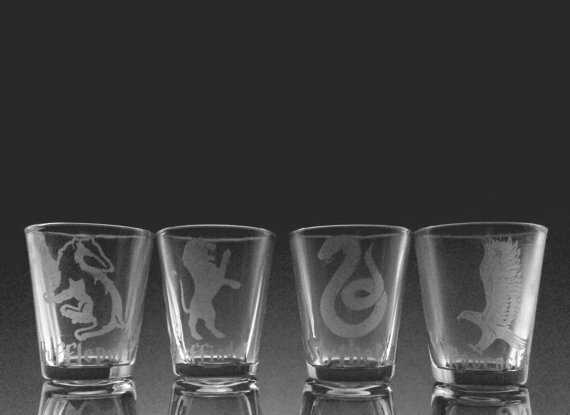 Perfect gift for both men or women, and I adore the fact that Pluto is smaller than the rest of the glasses. The only sad part is that they are not dishwasher safe.